Love, like Art, is inherently dangerous. Is this not what 'La Traviata' is all about? Well that's what the lavish new production which is being set on at the Teatru Astra to mark in great style the 50th Anniversary of what has been righteously dubbed as the top acoustic auditorium in the Maltese islands is all about! The fascination of danger lurking at the kernel of love: the irrepressible magnetism of it all. If recent opera productions at the Teatru Astra have all been about the irrepressible magnetism of unadulterated fascination, just wait for 'La Traviata' to experience the ultimate in opera in Malta. A magnificent cast has been billed to surpass the fondest expectations. Violetta, a veritable splash of colour in more ways than one, is Miriam Cauchi. The choice was natural. Having already scored high on the excellence meter at the Teatru Astra some years back in this ambitious role, Cauchi with her trademark dynamic variety, her refreshingly frank and open singing coupled with the virtuosity of the bravura the role of Violetta requires, is leading a glamorous cast. Having wooed the patrons in last year's top production of Lucia di Lamermoor with his tremendously beautiful singing in the very finest of Italian tradition, Giulio Pelligra has been entrusted with the role of the besotted youth Alfredo. Pelligra is currently interpreting the role at the famous Caracalla summer season in Rome. Further comment is superfluous! The Teatru Astra has been very fortunate to secure the services of the superb Maksim Aniskin, a regular at the Bolshoi Opera and much sought after in the top Opera theatres worldwide for his velvety, expressive baritone voice, singularly capable of sounding the depths of the conflicting emotions of Verdi's renowned score. Mr Aniskin is making his Malta debut as Germont in this special production. Mezzo Ooana Andra who has graced the Teatru Astra boards with her refined and poignant presence and equally refined and poignant singing is interpreting the role of Flora. 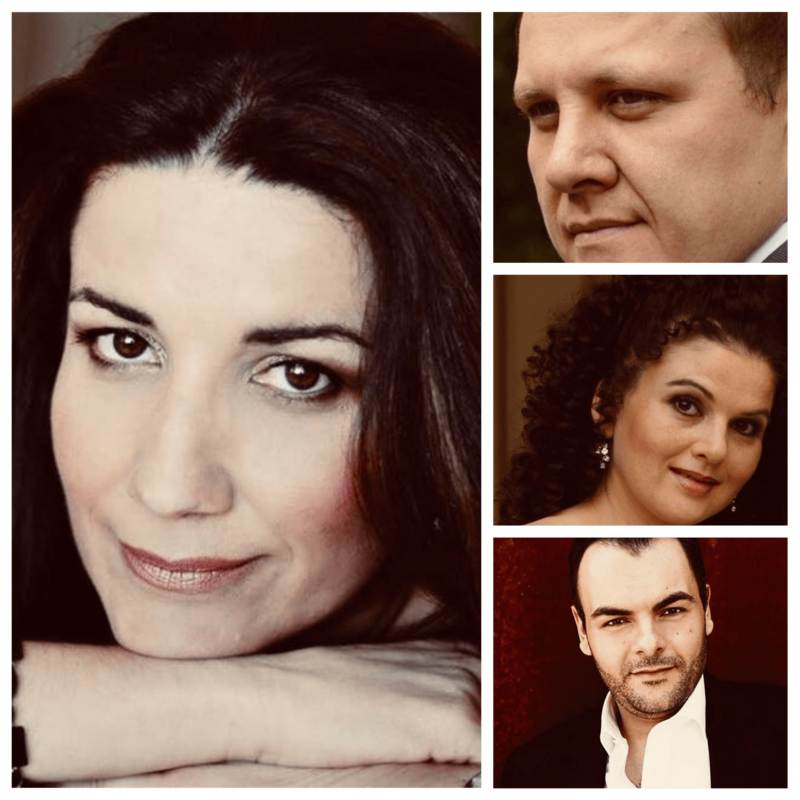 Secondary roles are being entrusted to well-established local singers Frans Mangion (Gastone), Louis Andrew Cassar (Barone Douphol) and Dorienne Portelli (Annina). Following the demise of the much loved Prof. Mro Joseph Vella, the Teatru Astra resident conductor for the past 50 years, under whose direction Opera at the Astra and in Malta reached hitherto unscaled heights, the Teatru Astra's responsibility to ensure not only as smooth a transition as possible, but more importantly still, to ensure the maintaining of the highest of standards so much identified with Mro Vella, is no small matter to put it mildly. Gold has been struck. Philip Walsh, very well-known and much respected conductor with particular connections with Malta and having collaborated closely with Mro Joseph Vella until recently, a true master on the podium, has accepted the Teatru Astra's invitation to conduct La Traviata. Joining forces with the Teatru Astra Opera Chorus which coached by Maria Frendo has contributed in no small measure to the unparalleled success of past opera productions at the Astra is the Coro Lirico Siciliano (dir. Francesco Costa). Leading Italian artistic director Enrico Stinchelli who has worked closed with Mro Vella to attain the highest of merits in recent Opera productions at the Astra, is laying on a production which will surely go down in the annals of Opera in Malta as one of the very finest. The great production team at the Astra headed by scenic artist Joseph Cauchi are making sure that the most popular of all Verdi's magnificent output, La Traviata, will be a blaze at the Teatru Astra. La Traviata, which kick-starts the seventieth edition of Festival Mediterranea, will performed in a double representation on Thursday 25 and Saturday 27 October at 19.30hrs and is supported by the Gozo Cultural Support Fund. Online booking and more information is available on www.teatruastra.org.mt and helpdesk number +2155 0985.